We make a lot of dips in our house. This is an old standby that I have been making for years. This dip doesn’t have a lot of ingredients and they are ones that I usually have on hand. The longer it sits the better. I like to combine all of the ingredients the day before serving for maximum flavor. Try it at your next tailgate or party. This zesty ranch spread is addicting. 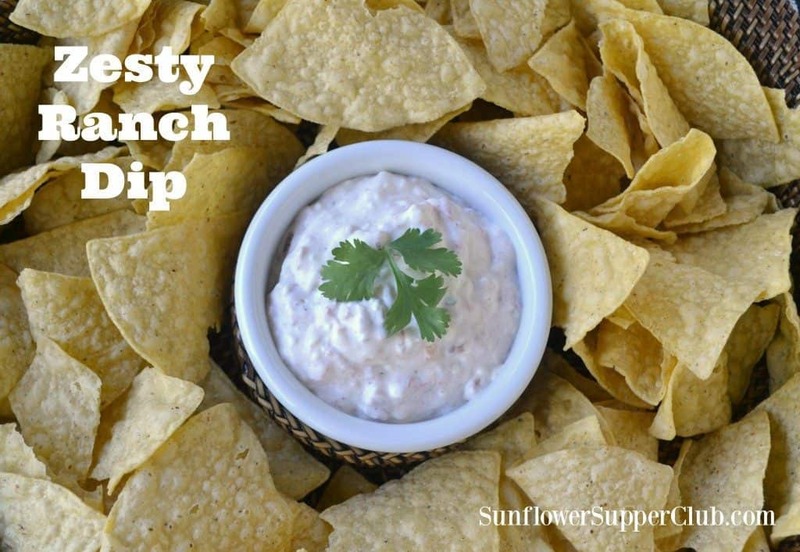 It is a great dip served with chips or fresh veggies. We also like to use it as a sandwich spread on Southwestern wrap sandwiches. Combine all the ingredients in a food processor and blend until well combined. It is best to refrigerate for a few hours or overnight before serving. Serve with Fritos, tortilla chips, or fresh veggies. Hi Kim, found you at What’s Cookin’ Wednesday – with three males in my household ranch is a food STAPLE and this sounds like a fun and quick alternative to the store bough dressing. A little more depth of flavor and thickness, sounds good to me! Thanks for sharing – pinned! Thanks Katie for stopping by! Ranch is a food group in my house too!